There is nothing better than having friends over. 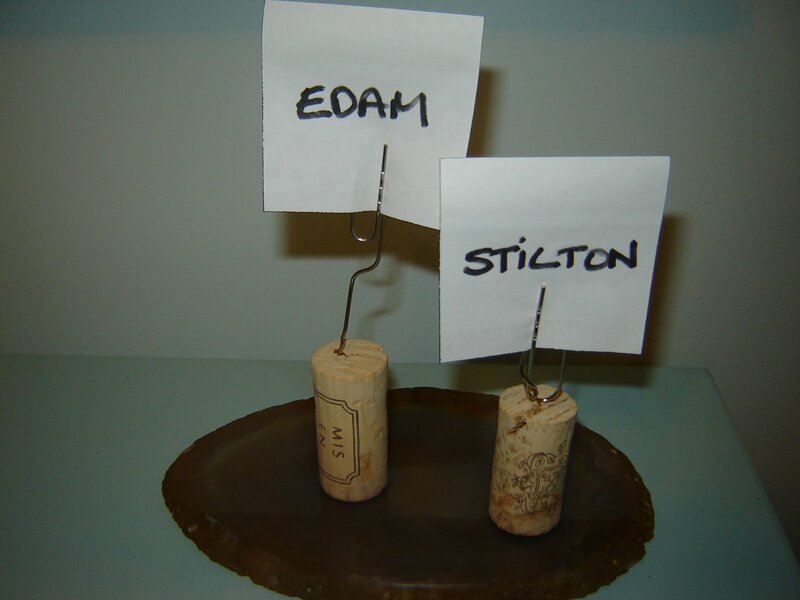 Everyone liked my show of cork signs advertising the sort of cheese on offer, (just a cork and a large paperclip with a small piece of paper displaying the name of the cheese) and asked what else you could recycle a cork from a wine bottle from. This is what we brainstormed. 1. Protect tips of knives, knitting needles, BBQ forks and any other sharp points. 2. Make a trivet by gluing corks into a picture frame or small tray. 3. Use on the back of pictures to protect walls or wreaths to protect doors. 4. Use in the bottom of a plant pot to aid drainage. 6. 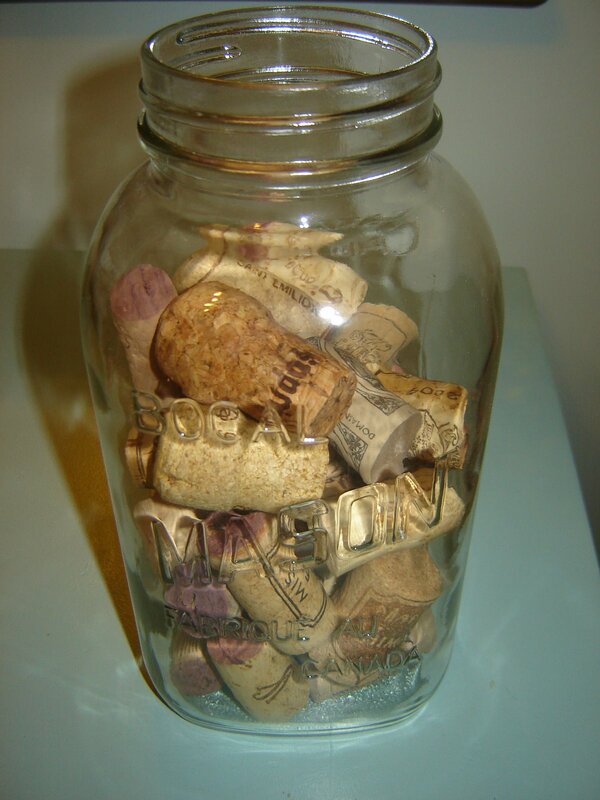 Use rounds of cork as feet when displaying items on furniture to protect from scratches. I like keeping my helpful bits and pieces in mason jars.